At InterplX, we provide business expense management solutions through a unique product/service offering that combines our proprietary ExpenseNet® expense report software and back-office services. "ExpenseNet is so simple and convenient!" I like the centralization of the process. It truly allows expense reimbursement to be paperless while allowing for good oversight of expenses. From the reporting and submission by the user, to approval by a manager, additional layers of approval as desired, to direct deposit for the reimbursement, the process can go very smooth. A report can be submitted one day and the ACH issued the next, with payment back to the employee in three to four days from the date submitted! I love that the credit card transactions can import and have much of the information populated. Setting parameters that control reporting has proven invaluable. There are so many reporting options, I still have much to learn in this arena. Customer Service, from sales, to daily processes, to funding issues, is outstanding!! The response time is amazing and thorough. User suggestions are considered seriously and I have seen updates already that have addressed my requests. Transfers between locations cannot be backdated and changes to approvers cannot be pre-dated, that I have found, though this may change in the future. For speed of reimbursement and control of information and payments, this is awesome. There are so many reporting formats available, I get very excited! I just need time to learn them all and how best to use them to support Senior Management decisions. Travel Expense reimbursements can process seamlessly. The reporting allows for custom auditing based on chosen criteria. This allows a great flexibility in reviewing and maintaining oversight. Thank you Wilma for your review and your business! I have passed your recommendation on to our development team. In the meantime give our Customer Support team a call, they will help if it is possible to backdate or pre-date transfers. I like the way it classifies entries and organizes them. Uploading receipt images is easy and intuitive as well. It's a great tool if you have few channels of approval. It's a little sluggish and difficult to learn at first. It can be rather cumbersome if there are several channels of approval necessary in the process. Try it out and see if it "fits" your organization. If your organization is smaller and has fewer chains of administration, it would work well for the price! It was an upgrade from what we were originally using (Excel spreadsheets and emailing those back and forth). But it lacked administrative qualities for us so we outgrew it quickly. User Friendly Software that is easy to navigate. If there is ever an issue of question, their customer service is very quick to respond. They are friendly and eager to help with any issue. I wish it was easier to navigate the reports section. Trying to find the correct report and to have it do what you need it to do. Can be frustrating at times. With Interplx, I find it convenient and easy to process travel expenses, and receive notifications when there are expenses to be approved. It also makes it convenient for our associates to upload their expenses even when on the road. Thank you Ericka for your business and your review! Give our team a call about your reporting. We have options available for custom reporting and want to ensure you get the report you need when you need it. ExpenseNet is easy to use. The system is user friendly. Unable to link receipt to expense line item. 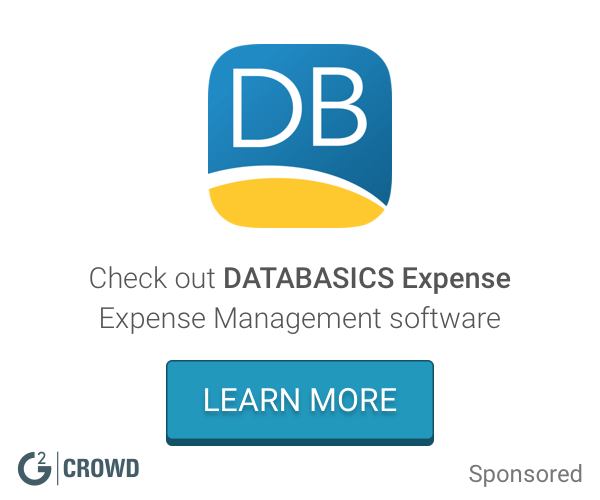 Manual expense reporting moved to ExpenseNet. Streamlined work flow process with ExpenseNet. ExpenseNet administration is very quick in responding to all of our needs and changes. The Software is user friendly and very easy to navigate. There are many reporting options to choose from. Because of a lot of data, I am only able to pull three month intervals. But if pulled and downloaded monthly, should be no issues filtering and using the pivot options in Excel. The reporting allows for custom auditing based on chosen criteria. This allows a great flexibility in reviewing and maintaining oversight. Getting our colleagues to use the Mobile option to make things more convenient! Customer service is awesome they work with you and will train you if needed. Application is easy to use. Reports can be difficult to figure out which to use at times. There are many steps to make changes and corrections. Because our company is nationwide it allows all the employees submit expense report in one place. Thank you Inger for your review and your business! Give our Customer Support team a call regarding reporting. They can help get you the right report at the right time. I like the reporting, there are many different reports as well as some that you can get customized for your needs. Adding new employees is very easy. Moving managers to different organizations I found a challenge. Tracking expenses and keeping duplicates from being entered. Thank you Erin for your business and your review. If you want assistance moving managers to different organizations our Customer Support team is will help with that, just give them a call. "Good Customer Service and easy to use it!" Customer service is quick to respond and helpful. No problem for quick set up for new employees. Easy to use in general. I would like to have more details in my reports. Sometimes is missing some important specific data to narrow search results down. Try it, you wont regret it. I do appreciate the website interface and easy of use. The site isn’t as popular, so it’s difficult to get others to use it as well. I wish it marketed more to millennials. It provides access to business resources that I can use when problems arise. "Manage expenses with ease. " The ease to use and access from anywhere. Reports are not the easiest to obtain or analyze. Try the demo. You will love it. Who is spending and how much. Getting faster approvals for payment. Helps me keep track of my expenses without carrying around paper receipts! * We monitor all ExpenseNet reviews to prevent fraudulent reviews and keep review quality high. We do not post reviews by company employees or direct competitors. Validated reviews require the user to submit a screenshot of the product containing their user ID, in order to verify a user is an actual user of the product. Hi there! Are you looking to implement a solution like ExpenseNet?